rights of oppressed and working people…”, he said in an interview with an english anarchist reporting from Turkey. He says education and healthcare are “in serious paralysis”, students find it difficult to get higher education, the rights of public sector workers have been removed, union organising continues to be repressed and women continue to be murdered and be the subject of violence. Turkish anarchist Sevinc gives a 45 minute interview on the context behind the Gezi park struggle and police repression. She touches on the Turkish left and anarchist movement, LGBT and Kurdish struggles, and the role of the “Ultras”, army and police. Sevinc recently migrated to Ireland where she has joined the Worker’s Solidarity Movement (WSM). Devrimci Anarşist Faaliyet (DAF) / Revolutionary Anarchist Action in Turkish, their English news and English reposts. 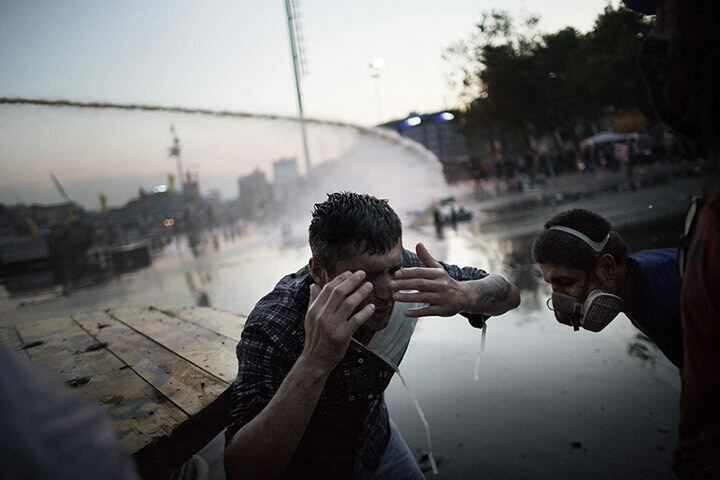 Ongoing dispatches by a foreign anarchists from inside the Turkish uprising. Includes brief notes, quotes and interviews. Andrew Flood from the Worker’s Solidarity Movement (WSM) in Ireland writes about tear gas and twitter in Taksim on 21 July 2013. Flood, Andrew (31/10/2007) “Turkey: Modernisation, authoritarianism and political Islam”, Workers Solidarity Movement Ireland (WSM). Last accessed on 23/06/2013. Use Google translate to read their other posts or read their english articles.